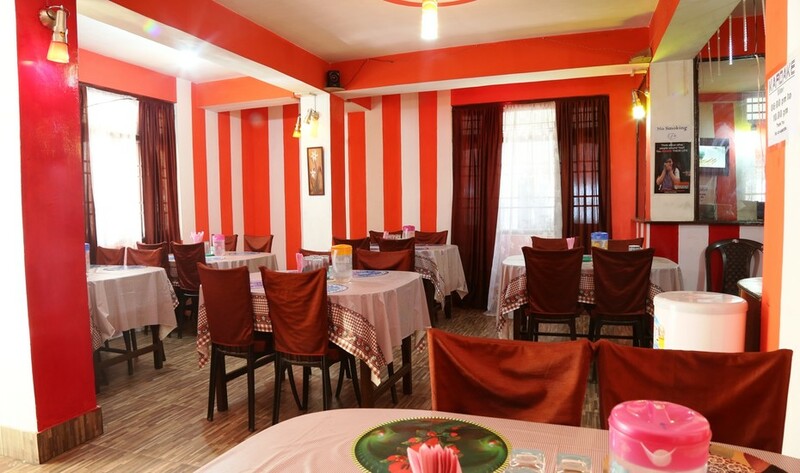 Hotel Danor, a budget hotel in Gangtok, is located at 3 km from the Arithang Private Bus Stand. Guests can visit the Chorten Monastery, which is at 2 km from the hotel. The hotel provides its guests with breakfast services. The hotel has 12 well-furnished rooms spread across 2 floors. These rooms have attached bathrooms and TVs with cable connection. This Gangtok hotel provides room service. Parking, Baggage Storage on Request, Breakfast Services, Travel Counter, Backup Generator, Airport Transportation, Currency Exchange, Family/Child Friendly, Security Guard, Room Service. Toothbrush/Razor on Request, Air Conditioning Room, Bottled Water in Room, Iron/Ironing Board, DVD Player, H/C Water, Cable/Satellite TV, Attached Bathroom, Television Room, Wakeup Calls. User reviews for "Danor Hotel Gangtok"